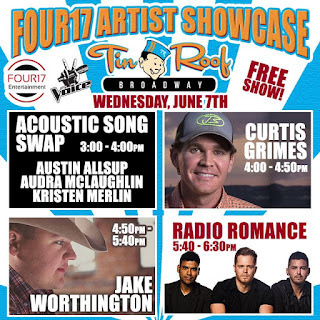 Radio Romance to Headline FOUR17 Artist Showcase. Will Also Feature Contestsnts from NBC's The Voice! 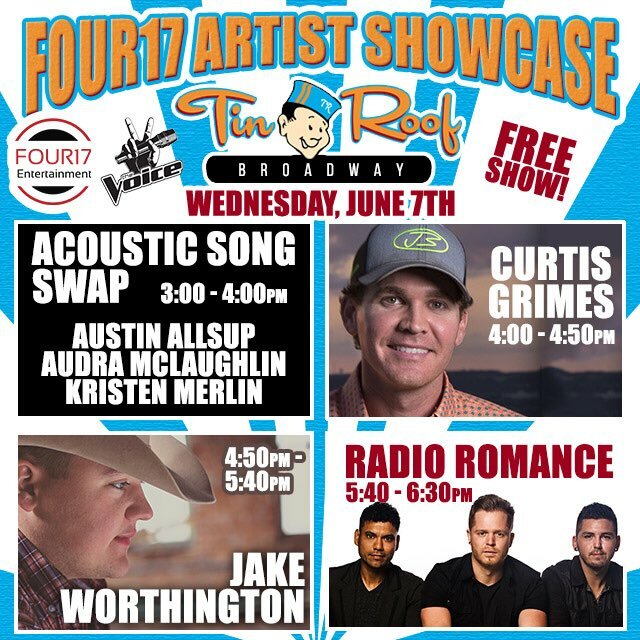 The Tin Roof Broadway will host the FOUR17 Artist Showcase during the 2017 CMA Music Festival on Wednesday, June 7th from 3 PM - 6:30 PM. The show will feature past contestants from NBC's The Voice, and be headlined by the up and coming country trio, Radio Romance.